You had thought that your perfume bottles can be a decorative element? Well look so cute that result is when fragrances are combined into a tray. 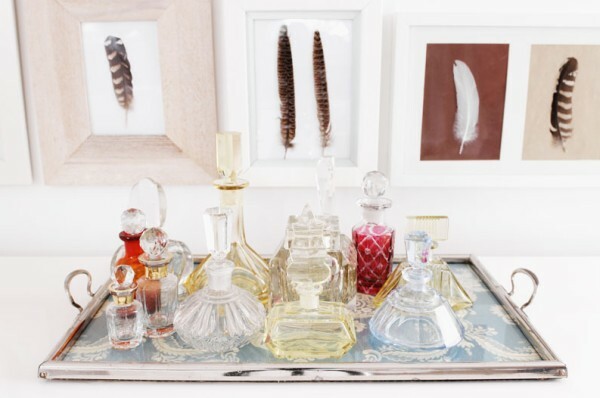 To collect the bottles you can also use a decorative plate or even a mirror. This is a great idea to decorate a bedroom or toilet in your home. Test showing up personal items to create a unique atmosphere and intimate. Liven up a room in your house with objects of daily use, and with low cost idea!